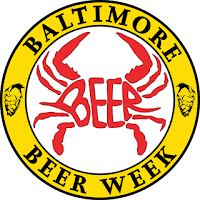 Before it all ends, the Pratt Street Ale House and the Baltimore chapter of the Society for the Preservation for Beer from the Wood (SPBW) present the 11th annual Chesapeake Real Ale Festival, this Saturday, at the brewpub, in downtown Baltimore, Maryland. 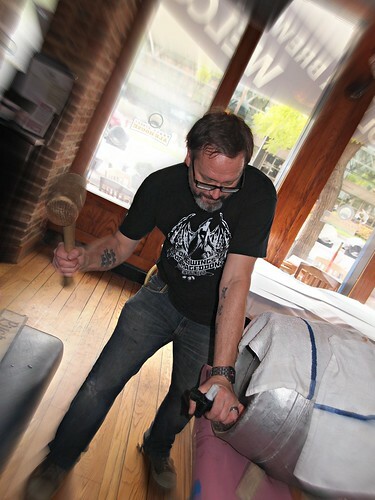 Festival host brewer, Steve Jones, of Oliver Brewing. There will be at least forty-one casks of real ale (and one 'real' lager) at the festival. And, what is 'real ale'? Also known as cask-conditioned ale, 'real ale' is beer brewed from traditional ingredients; matured by secondary fermentation in the container from which it is dispensed; served without the use of extraneous carbon dioxide; presented unfiltered, yet 'bright' not cloudy; served at cool 'cellar' temperature, approximately 50 - 56 °F, at which point the subtleties of flavor become prominent. It's the beauty of beer at its freshest. 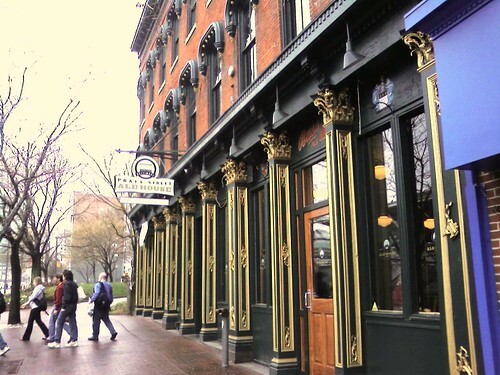 The festival takes place both inside and out the Pratt Street Alehouse. Outside, no problem. The weather forecast for Saturday is for good autumn weather. Or, as some might say, good cask ale weather. And, the festival is a bargain. For one admittance fee, a festival go-er can drink unlimitedly (within the bounds of supply and good and decorum), without the nuisance of purchasing drink tickets. Food, however, is not included, but can be purchased off the pub's menu, in the dining rooms or at the bar. Here's the line-up of casks: some TBDs (to be determined), some MIAs, and, as always, some yet-to-be-named guest beers. Photos from the festival: here. The list of beers has been updated to reflect what actually was at the festival. A history of the festival: here. How to get to and around Baltimore: here. I really need my eyes tested, I read that as Cheapskate Real Ale Festival - just my cup of tea!